Definition at line 56 of file llgroupmgr.h. Definition at line 79 of file llgroupmgr.cpp. Definition at line 94 of file llgroupmgr.cpp. Definition at line 98 of file llgroupmgr.cpp. 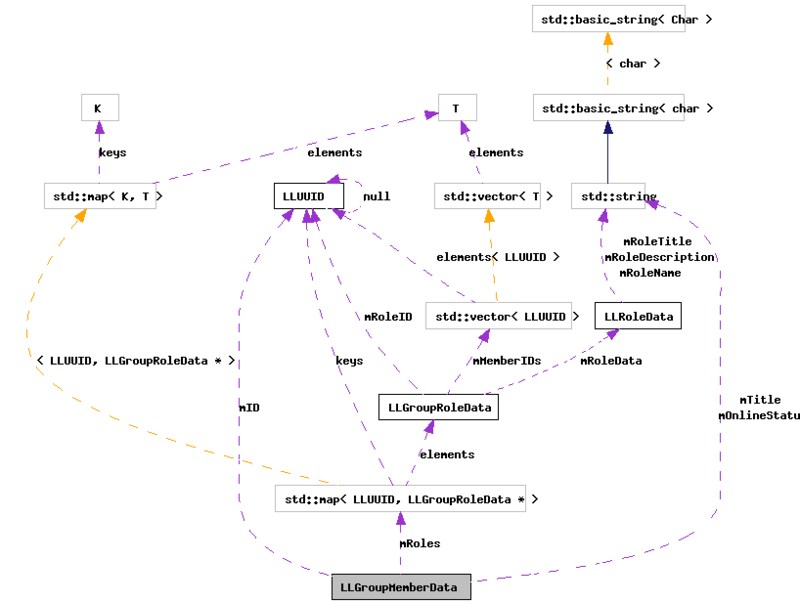 Referenced by LLGroupMgrGroupData::changeRoleMember(), and LLGroupMgr::processGroupRoleMembersReply(). Definition at line 78 of file llgroupmgr.h. Definition at line 72 of file llgroupmgr.h. Referenced by LLPanelGroupMembersSubTab::getAgentPowersBasedOnRoleChanges(), and LLPanelGroupActionsSubTab::handleActionSelect(). Definition at line 71 of file llgroupmgr.h. Definition at line 70 of file llgroupmgr.h. Definition at line 75 of file llgroupmgr.h. Definition at line 74 of file llgroupmgr.h. Definition at line 82 of file llgroupmgr.h. Referenced by agentCanAddToRole(), and LLPanelGroupMembersSubTab::handleMemberSelect(). Definition at line 73 of file llgroupmgr.h. Definition at line 103 of file llgroupmgr.cpp. Definition at line 79 of file llgroupmgr.h. Definition at line 80 of file llgroupmgr.h. Definition at line 58 of file llgroupmgr.h. Definition at line 87 of file llgroupmgr.h. Referenced by getAgentPowers(), LLGroupMgrGroupData::recalcAgentPowers(), and LLGroupMgrGroupData::recalcAllAgentPowers(). Definition at line 86 of file llgroupmgr.h. Definition at line 85 of file llgroupmgr.h. Definition at line 90 of file llgroupmgr.h. Referenced by LLGroupMgrGroupData::changeRoleMember(), and isOwner(). Definition at line 89 of file llgroupmgr.h. Definition at line 91 of file llgroupmgr.h. Referenced by addRole(), clearRoles(), isInRole(), LLGroupMgrGroupData::recalcAgentPowers(), LLGroupMgrGroupData::recalcAllAgentPowers(), removeRole(), roleBegin(), and roleEnd(). Definition at line 88 of file llgroupmgr.h.